The Brabus Rocket came into existence in the year 2006 as a tuned-up version of the Mercedes-Benz C219. 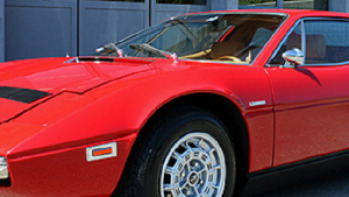 In the same year, the CLS V12 S Rocket, which was a police car variant of the Rocket, set the world record for being the fastest vehicle owned by a police organization. 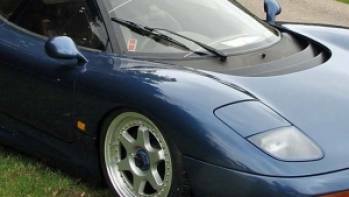 The Rocket also set the land speed record for a street-legal saloon car at the Nardò race track in Southern Italy clocking in a top speed of 227.2 mph (365.7 km/h). 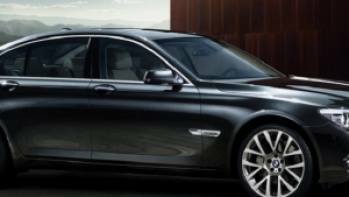 The model is considered to be among the most powerful luxury sedans in the world. The Rocket program was revived in the guise of the 2012 Brabus Rocket 800. 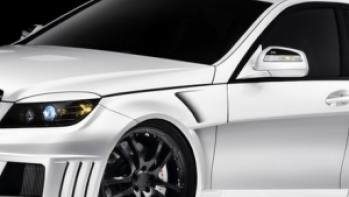 The German tuner’s second CLS-based super saloon was showcased at the 2011 Frankfurt Auto Show. 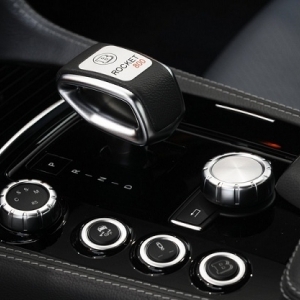 The cabin of the 2012 Brabus Rocket 800 comes laden with ergonomic shapes and an aesthetically pleasurable ambience. The aluminum shift paddles are mated to a sport steering wheel that is further accentuated by aluminum shifter, footrest and pedals. A backlit ROCKET 800 logo sits pretty on the stainless-steel scuff plates. The custom-tailored interior also features a BRABUS-special speedometer dial. The interior of the vehicle is trimmed in supple gray leather by the company’s upholstery shop. 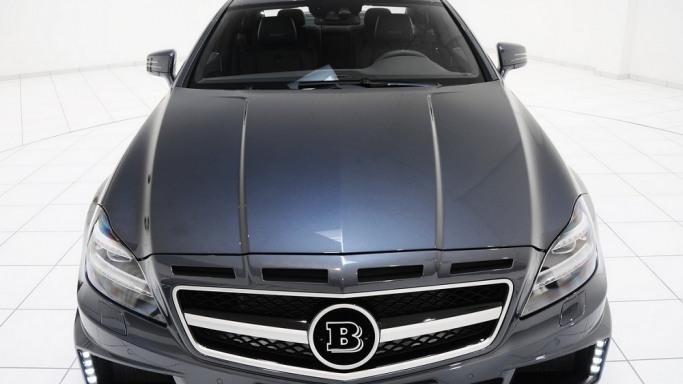 The all-leather cabin features the ROCKET 800 and BRABUS logo embroidered on the headrests. The black Alcantara headliner used in the interior scheme is also contrasted with a polished high-gloss black piano wood trim. 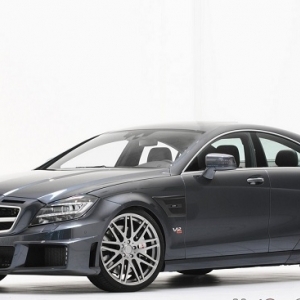 The 2012 Brabus Rocket 800 is a 4-door luxury saloon that was created after extensive R&D in the wind tunnel. 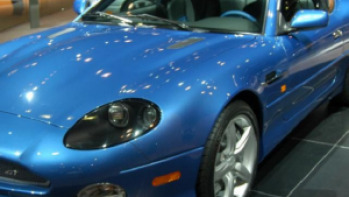 As a result, the vehicle was manufactured with high-strength ultra-light carbon fiber with aerodynamics-enhancing components like a brand new radiator frame and a stupendous front spoiler. 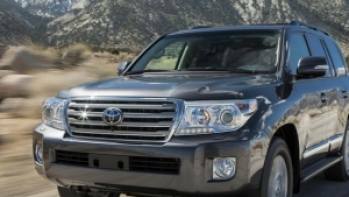 The specially designed spoiler supplies the front brakes, oil cooler and radiators with optimal air supply via side air vents and other large air inlets. The spoiler also improves drag and minimizes lift on the front axle. The four-door car’s understated appearance is enhanced by LED entrance lights integrated within the side skirts. 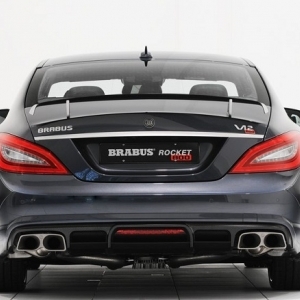 The sporty appearance of the 2012 Brabus Rocket 800 is rounded out by the rear bumper that houses the side air vents. 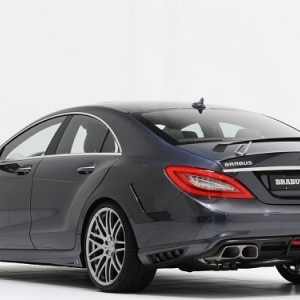 The CLS body also gets a new rear diffuser and a specially developed rear wing that optimizes aerodynamic balance.